Iraq Is a Mess. But Leaving Was the Right Call. Let us stipulate some ugly facts up front. Iraq remains a weak state. The political institutions are—charitably—immature. The business climate is not overly attractive and corruption is endemic. Were it not for oil, there would be no real economy. There is a serious terrorism problem. Relationships with all the neighboring states are problematic. Sectarian divides remain tense, with some key fault lines unresolved. The country’s armed forces remain incapable of defending its international borders. Given all these facts, it is still very possible that Iraq could revert to its previous state of dysfunction, or find a new variety into which to fall. The chaos of the last few days in Baghdad—in which the Shi'a Prime Minster has pursued charges against his Sunni Vice President, with the latter taking refuge among the Kurds—is likely a precursor of the sort of political drama we can expect for some time to come. But with all this said, we should still sound a muted victory cheer and embrace the Iraqi decision to decline an extension of the U.S. military presence in Iraq (excepting a small detachment, the Office of Military Cooperation in Embassy Baghdad, as is typical of embassies everywhere). The departure of U.S. military forces will give space for Iraq politics—both domestic and international—to normalize, it will permit the development of a more normal bilateral relationship between the United States and Iraq, and it sends an important signal that the United States is not attempting to impose a series of “satrapies” in the Middle East and around the world. Above all, Iraqi politics need to achieve its own equilibrium. While Iraq has been nominally “sovereign” since 2004, the United States retained considerable—and in some areas, decisive—influence for several years thereafter. The strong level of U.S. oversight gave Iraqi officials considerable impetus to shirk their official duties. After all, if they didn’t perform, the Americans probably would in their place—perhaps even picking up the tab. The departure of the last U.S. military forces sends a clear signal that the Iraqis are—with all our best wishes—on their own. This is a matter of basic responsibility for Iraq, but it is also an opportunity. A number of recent studies have cast doubt on the effectiveness of U.S. assistance programs in Iraq: Iraqis may not be losing much help after all. But either way, in the absence of U.S. programs—effective or otherwise—Iraqi governmental officials will have to learn how to make their institutions function. It may not be easy sailing. But it will be a good thing. The various factions in Iraq will also have to find their own modus vivendi in the absence of a U.S. guarantor. This is also a good thing, particularly for those of us who believe that the horrific violence between 2005 and 2008 made it clear to all factions that political means are the only way forward. The Sunnis learned the hard way the price that a minority faction pays in a civil war, and these lessons were not lost on the Kurds—particularly given the remarkable accomplishments, economic and otherwise, that they have brought about in Iraqi Kurdistan and the cold reality of how quickly it could all be lost to violence. All factions, including the Shi’a dominated government, have too much to lose. Iraq’s relationships with its neighbors will likely also stabilize with the U.S. departure. The relationship with Kuwait can be expected to remain chilly (they have not forgotten 1990). Turkey seems to understand that Iraq is managing the PKK terrorism problem as best it can and this relationship should grow stronger, despite some tensions over water rights. Syria remains a wild card, and as regime change there seems much more likely today than it did some weeks ago, Iraq must keep a careful watch against the spread of violence over that border. But it is the relationship with Iran that is both most overshadowing and of the most concern to the United States. Iran remains a much stronger power, with a better developed military, and has not been shy about using the free-trade regime of Iraq to develop some monopolies within Iraq, dumping cheap products in order to discourage the development of local business. Nor, to put it mildly, do the operatives of the Iranian Revolutionary Guard “Quds Force” (a hybrid commando/espionage force dedicated to exporting the Iranian revolution in other countries) stationed in Iraq harbor benign intentions toward that country. However, many Iraq watchers fully expect that once that the U.S. “occupiers” have departed, Iraqi nationalists of all stripes will turn their attention more fully to the problem of Iranian influence. The Iraqis are just as uninterested in being an Iranian client state as they are in being an American ward. Not relevant to the Iraqis, but deeply important to America, perhaps the most important aspect of the removal of American troops from Iraq is the effect on the United States’ international reputation. Simply put, the U.S. signed a bilateral agreement saying that it would leave by the end of this calendar year. And now it is. When American national interest next requires it to intervene in another state, it will be very convenient to point to the fact that when the Americans say they will leave, they actually do leave. At this point, Iraq is exactly where we should expect a country to be when coming out of forced regime change, with the almost inevitable civil strife and violence that follows. This is what success looks like. No, it’s not very pretty. The hard-won fragile stability of Iraq should serve as a cautionary tale to those across the political spectrum who promote regime change as a policy, whether for reasons of national interest or on humanitarian grounds. Removing a functioning regime, however distasteful it may be, puts the population into something approaching a state of nature, and condemns the innocent population to a great deal of suffering as normal societal systems and institutions break down and are then re-established only gradually over time. All of that death and destruction inevitably makes for a fragile polity, culturally unstable and economically naive. But the only way Iraq can move forward at this is to let it grow up, like a teenager cut loose. 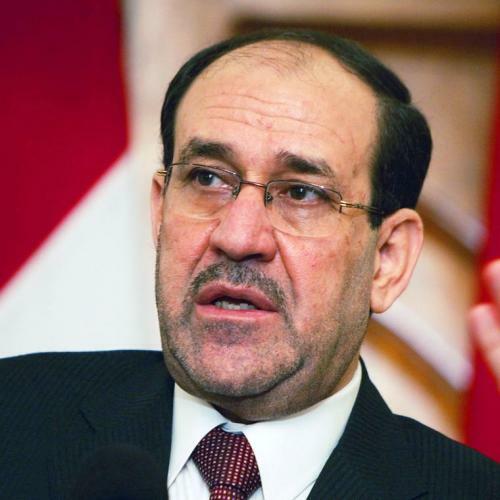 For some pessimists, a further future complication is the continuing centralization of power by Prime Minister Nouri Maliki, and a resumption of sectarian tensions. That’s a concern, but those who see him as the “next Saddam” or “Shi’a Saddam” vastly overestimate his powers. Maliki is working to increase the power of the executive, not very differently from most politicians in their country’s respective executive branch. But he remains constrained by his deeply divided parliament and will still have to stand for election again in 2013, if he even chooses to do so. Perversely, the inability of the senior Iraqi leadership to get an “immunity deal” for American troops approved by the parliament demonstrates the democratic checks on executive power. Our departure demonstrates our success. In short, despite its problems, there remain good reasons for optimism. For those of us who lived through the darkest days of Iraq’s civil war in 2006 and early 2007, this is a future we would not dared to have imagined. While Iraq remains fragile and all could still go badly wrong, there is more reason for hope than pessimists allow. We should all applaud what the Iraqis—with occasional American assistance—have accomplished, though they still have far to go. But this remains a cautionary tale that even victory in these types of “small wars” remains a rather ambiguous outcome. Douglas Ollivant, formerly Director for Iraq at the National Security Council, is a Senior National Security Studies Fellow at the New America Foundation.